Before automobile technology even reached the point where two cup holders in a single car was an ovation inducing breakthrough, the automotive design process involved a constant back-and-forth of 2D sketches–it still does for many manufacturers. Then there is the strict adherence needed for that unfortunately inconvenient internal structure. Most of the time, these “hard points” – monocoque, suspension, engine/radiator position, etc – go through their own approval before progress can be made. This can take months, delaying other work and, even then, the confidence of the design translating well in 3D is lacking. Enter the modern world of VR, where McLaren Automotive, together with software company Vector Suite, is incorporating an immersive 3D experience into car body design. 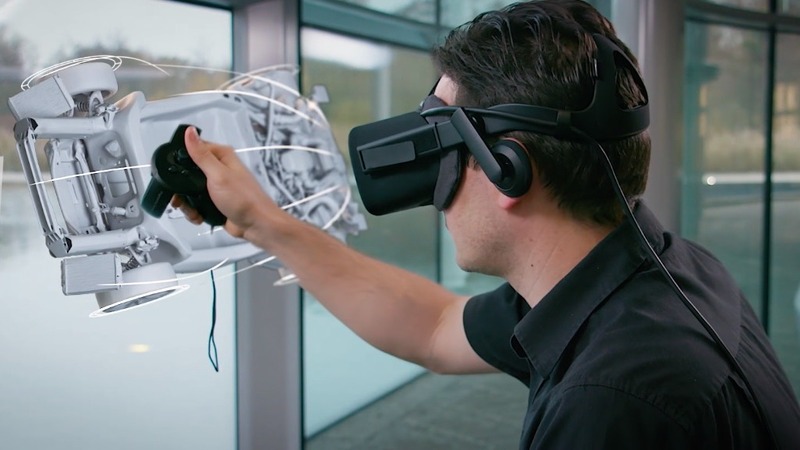 Mark Roberts, Head of Design Operations, describes the initial aim of implementing VR as a way to support vehicle ergonomics and review 3D design data before creating the physical car. However, Roberts soon saw a way to enhance and optimize the car concept design process through the same means. The Vector Suite software imports the aforementioned hard points to create a volume which the user is then able to create and manipulate a structure of 3D sketches for the proposed design. All along the way they are able to see how everything fits, fine-tuning each aspect. This drastically reduces the time it takes when transferring 2D sketches to 3D models and is more efficient than switching between paper or 2D graphics and 3D software. Why Change the Car Body Design Process? Like a lot of awesome things in this world, video games played a large part in the inspiration for the project. According to an article Roberts posted on LinkedIn, game engine technology allowed them to create realistic VR assets which in turn enable engineers and designers to translate their work better on the virtual plane. Working with Vector Suite founder and CEO Neil Johnston, Roberts was able to create a method which allows designers to switch fluidly between a sketch tool and a 3D VR program, all while giving them the ability to fine-tune a design at any moment. But why change the process? And in the end, it speeds up the early-concept design phase and lets McLaren’s designers translate their sketch concepts into 3D much faster. This gives them more time to work on other parts of the automobile’s production process. And yes, the designers are even able to generate surfaces with the 3D curves for use in other software, which again saves time downstream in everything from renders to manufacturing prep. You remember that future of 3D design we kept talking about in years past? The idea of sketching in 3D? Seems it’s here boys and girls. Carlos wrestles gators, and by gators, we mean words. He also loves good design, good books, and good coffee.